Are mistakes from your past following you around on the web? Does negative online content portray the wrong image about you as a person? In the digital age, our reputations can be shattered by negative content published online. This leads to embarrassment, loss of income, social exclusion and hurts the image you have worked hard to build. Do you just want to proactively improve your reputation to enjoy all the benefits a good reputation provides? How do you want the world to view you when they type in your name? Using a variety of proven techniques, Reputation.ca will dilute down or completely remove negative content about you to ensure you're creating the optimal first impression. Reputation.ca provides a standalone service to high profile clients in need of public relations strategy consulting. We support a variety of clients in need of high profile publicity management and reputation management. Services include helping clients shape their public profile or manage their reputation in the media and through social network sites. Our public relations team will help with media training, message crafting, planning, social media management, and ongoing supervision of all public appearances and coverage. Often times, a negative perception can be built of a person simply due to a lack of positive information being created and distributed. 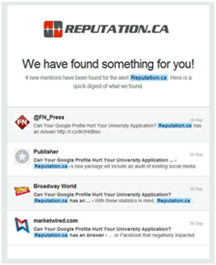 Reputation.ca creates and promotes positive results in order to build a solid footprint highlighting your personal attributes and achievements. First impressions are everything! 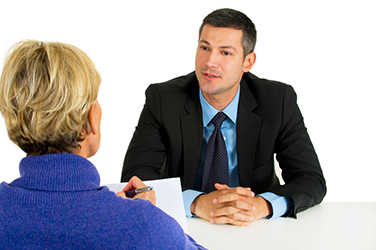 Thoroughly interview you to understand your desired profile. Inventory and track your search engine profile. Provide reputation management software to track your results. Develop a Personal Content Plan and execute it. Distribute high quality positive content, articles, and social profiles about you. Take control of your owned assets. Most campaigns include creating 20-30 new assets for clients. Having updated and positive social media profiles, blogs, and author accounts will solidify your reputation as an expert in your field and maintain and grow your audience. It will also help keep these assets holding their positions in search engines and continuing to make you look good. We will create and publish one well written piece of positive content per month that demonstrates your position as an expert in your field. We will maintain search engine optimisation to help your positive assets hold their positions. Gain reviews/comments on your social profiles. 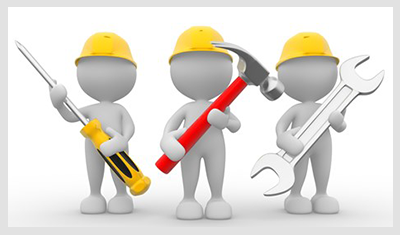 We will perform other maintenance tasks on your online profiles so they stay functional. Maintain and keep updated websites built for your online profile. Your authority in your field will grow and your clients will have you on their minds when they are looking for your service. Your positive reputation will grow and you can be confident you look good when people research you. 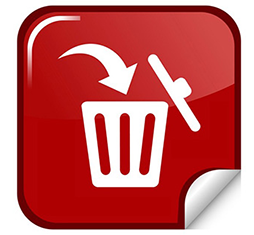 Some of the sites we can do guaranteed deletions from include:TheDirty.com, Globe24h.com, ComplaintsBoard.com and many more. We use proprietary software to track mentions of your name across more than 10,000,000 news sources and websites. We send you a report of these mentions each day and your account manager monitors them as well. Following this reactive approach, Reputation.ca is able to address negative criticism as it happens ‐ which provides peace of mind in knowing that you're not allowing negative content to linger unaddressed and damage people's opinion about you. We offer a quote in advance for our services based on the package required to get the results you need. These packages include an initial flurry of work to clean up and protect your reputation. Then many clients opt for a low-cost maintenance plan which provides gradual reinforcement of your online reputation. All packages include a year of media monitoring so we can respond to any threats. We also offer bespoke services for clients with specific needs. Unlike other companies we do not consider our clients size and charge according to that. We look at the details of your particular project and the work involved and sum all of the hours we will need to use. We then provide a quote based on our monthly rate multiplied by the months required for your project or plan. Please contact us for a free reputation analysis. References are available upon request.